Home to some of the Caribbean's most picturesque beaches, Aruba continues to draw sun-seekers and adventure-lovers to its shores every year. Whether you're looking to jet off on an exciting summer vacation or you're looking to escape the bitter winter back home, Aruba is a tropical destination that will make you feel like you've been transported to paradise no matter when you visit. 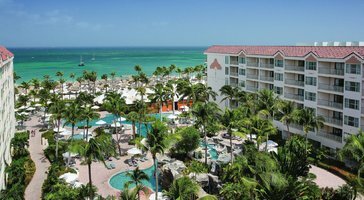 Its long stretches of postcard-perfect beaches and its bright aquamarine waters make for the perfect backdrop for everything from romantic getaways to family vacations, which is why Aruba remains one of the Caribbean's most popular islands. 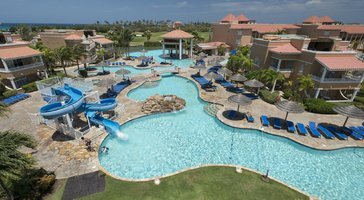 When you're on the hunt for Aruba vacation rentals, look no further than Vacatia, which strives to find quality, spacious vacation rentals for its customers. 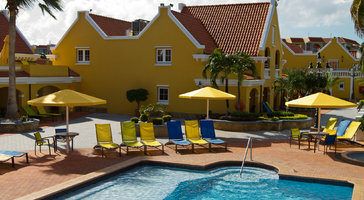 There are a number of Aruba hotels scattered throughout the island, but when you book your stay at a traditional hotel you won't have the added living spaces and conveniences that you could have with one of Vacatia's Aruba timeshare rentals. 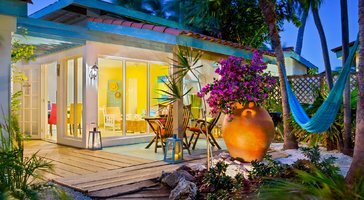 You can make the most of your Caribbean getaway when you book your stay at one of the premier Aruba villa rentals through Vacatia, whose Guest Care team will be available to assist you during every step of your vacation planning process. 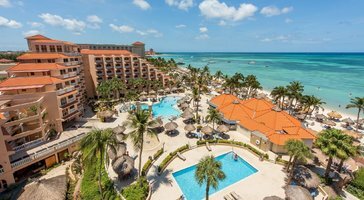 Aruba is blessed with the best weather in the Caribbean, and its perennially sunny weather makes it one of the best beach destinations in the world. Whether you want to join in on beach and water activities like volleyball and kite surfing or you'd rather lounge on one of the secluded beaches and get in some R&R, Aruba is the spot for your next tropical getaway. 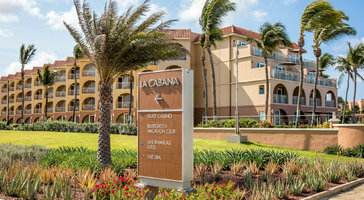 Before you start sifting through the vast sea of Aruba resorts available on the island, check out Vacatia's impressive selection of Aruba suites, which provide so much more than just a standard hotel can. Vacatia's vacation rentals offer added living areas, such as a fully equipped kitchen, as well as the desired luxuries of a resort. 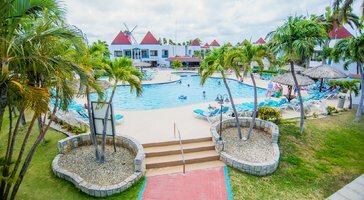 When you're searching for Aruba vacation rentals, there are a number of sites to choose from, such as Vacatia and VRBO Aruba. Vacatia strives to deliver high-quality vacation rentals to its customers through its easy-to-use search tool as well as through its attentive Guest Care team. 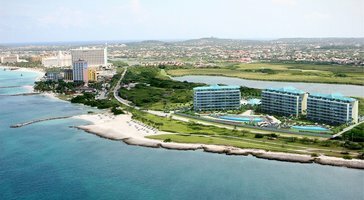 From the moment you begin booking your Aruba vacation, Vacatia is there to help you plan the perfect Caribbean getaway. 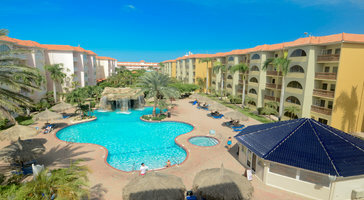 Aruba is located in the southern Caribbean, where the sun shines nearly every day. 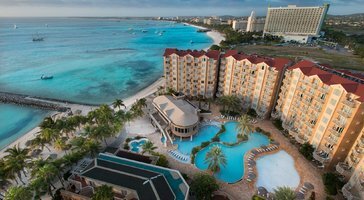 With balmy 82-degree weather and gorgeous beaches, Aruba is the perfect island to visit for those looking to experience all that a Caribbean paradise has to offer, from its stunning beaches to its expansive nature preserve. There's never a dull moment in Aruba, which is why it's a hotspot for everyone from honeymooners looking for romance to families looking for fun in the sun. When you begin planning your trip to this idyllic Caribbean destination, be sure to work with Vacatia so that you can book a terrific vacation rental that will quickly become your beloved home away from home in this tropical paradise.